This study systematically reviews the diverse body of research on community flood risk management in the USA to identify knowledge gaps and develop innovative and practical lessons to aid flood management decision-makers in their efforts to reduce flood losses. 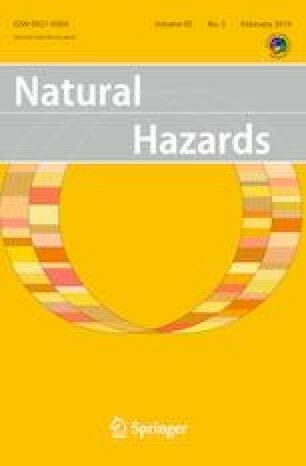 The authors discovered and reviewed 60 studies that met the selection criteria (e.g., study is written in English, is empirical, focuses on flood risk management at the community level in the USA, etc.). Upon reviewing the major findings from each study, the authors identified seven practical lessons that, if implemented, could not only help flood management decision-makers better understand communities’ flood risks, but could also reduce the impacts of flood disasters and improve communities’ resilience to future flood disasters. These seven lessons include: (1) recognizing that acquiring open space and conserving wetlands are some of the most effective approaches to reducing flood losses; (2) recognizing that, depending on a community’s flood risks, different development patterns are more effective at reducing flood losses; (3) considering the costs and benefits of participating in FEMA’s Community Rating System program; (4) engaging community members in the flood planning and recovery processes; (5) considering socially vulnerable populations in flood risk management programs; (6) relying on a variety of floodplain management tools to delineate flood risk; and (7) ensuring that flood mitigation plans are fully implemented and continually revised. This article is based on research funded by the US National Science Foundation (NSF) Grant No. 1635381. The findings and opinions are those of the authors and do not necessarily represent the NSF. The authors are grateful to Drs. Sam Brody, Jeffrey Czajkowski, Meri Davlasheridze, Wesley Highfield, Craig Landry, and Sammy Zahran for reviewing our list of studies to be included in this review.